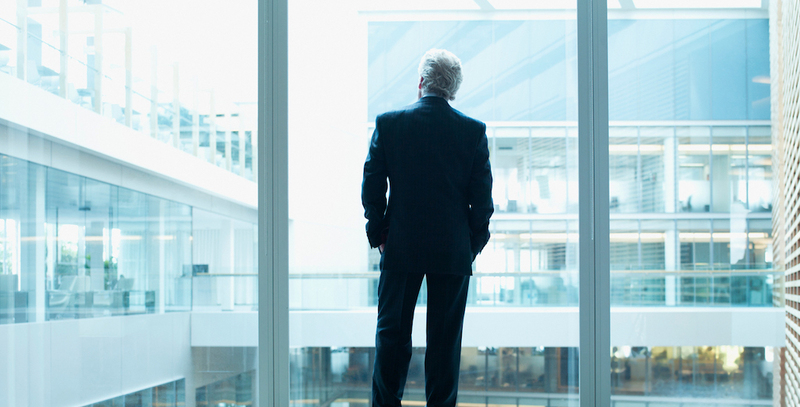 Succession planning: What’s your exit strategy? It probably started with a great idea and a little bit of seed money. It became the source of both sleepless nights and boundless pride. There were times you wouldn’t part with it for anything, and other times you thought you’d be willing to sell it and walk away for pocket change. It’s your business. It’s not just a job or a career; it’s been part of your life’s bedrock for years. But eventually, the time comes to leave it behind. Perhaps you’re anxious to pursue new opportunities and find new challenges. Perhaps you’re ready to take a little more time for yourself and leave the business to the next generation. Whatever your circumstances, the time will come to think about succession. 3) Transfer to a family member or a business partner. As you grew your business into a financial success, you learned that it’s vital to have a sound business plan. The same holds true when you move on; to assure a successful transition, you need to have a sound succession plan. Let’s look at each of these succession strategies and what you as a business owner should know about them. Obviously, every situation brings its own particular circumstances, challenges and opportunities. This is a broad roadmap to give you an idea of what to expect on each path. To learn more about your options and alternatives, it’s a good idea to talk things through with an experienced advisor. Texas Capital Bank is adept at charting the right course through succession, and has experienced, seasoned bankers and private wealth advisors ready to lend a hand. It’s also worth noting that these three strategies are not mutually exclusive. In fact, it’s more common to combine them when planning a succession. For example, imagine you wish to retire and your business partner wants to assume full ownership but doesn’t have the financial assets to purchase your share. It’s possible your partner could acquire the necessary funding through a private equity concern using both the private equity and transfer-to-partner avenues to assure a profitable succession. Whatever your reason for moving on, ensuring a successful transition means creating and crafting a thorough plan for succession. To do this, you’ll need the assistance of your own legal and financial professionals. Whether your succession plan is straightforward, such as handing the business off to a family member, or more complex, such as a private equity buyout, proper legal counsel is essential. These professionals can be welcome sounding boards right from the beginning. Their experience and acumen can help you map out the best possible path. It’s important when beginning the process to take a hard look at exactly what your motivations are and what you hope to achieve. Knowing this will determine the goals of your succession plan and impact most of the decisions that follow. Will you step away from the business entirely or are you only interested in reducing your role? Will you move on to another enterprise or is your eye on retirement? These questions are essential to crafting your succession plan. Knowing exactly what you want — and communicating it accurately to your legal and financial advisors — is key to making your succession a success. The longer you have to plan your succession, the better off you’ll be. If your circumstances allow it, financial experts advise beginning your plan at least 18 to 24 months prior to the point of liquidity. The closer you are to the event, the fewer options you’ll have available. Appearance is important. If you wanted to sell a car, you’d have it detailed first. It’s not intrinsically worth any more or less, but being clean and shiny attracts a buyer’s attention. Your business should be clean and shiny too. Collect the data you need to provide a complete, organized and up-to-date financial picture of your business. Hire an independent auditor to conduct a two- to three-year audit. Take another look at your business efficiencies and liquidate or eliminate any unnecessary assets. Generate a reliable financial forecast to show to potential buyers or investors. Most importantly, for more insights on how to create your business succession plan, including references, download the report at texascapitalbank.com. How can Texas Capital Bank help you? Every business is different and every succession plan is different. Your circumstances are unique and your plan should be tailored to match them. Having the right experts in your corner from the start can make all the difference. Texas Capital Bank offers a full suite of financial services administered by dedicated and experienced bankers who understand succession and how to craft a plan with the help of your legal counsel, financial advisors and investment bankers who will best help you meet your goals — whatever they may be. Contact Texas Capital Bank today at 214-932-6655 to get started on your plan. Bill Rolley is a Senior Relationship Manager at Texas Capital Bank. Texas Capital Bank is a wholly owned subsidiary of Texas Capital Bancshares, Inc. (NASDAQ®: TCBI) and is consistently recognized as one of Forbes’ Best Banks in America.